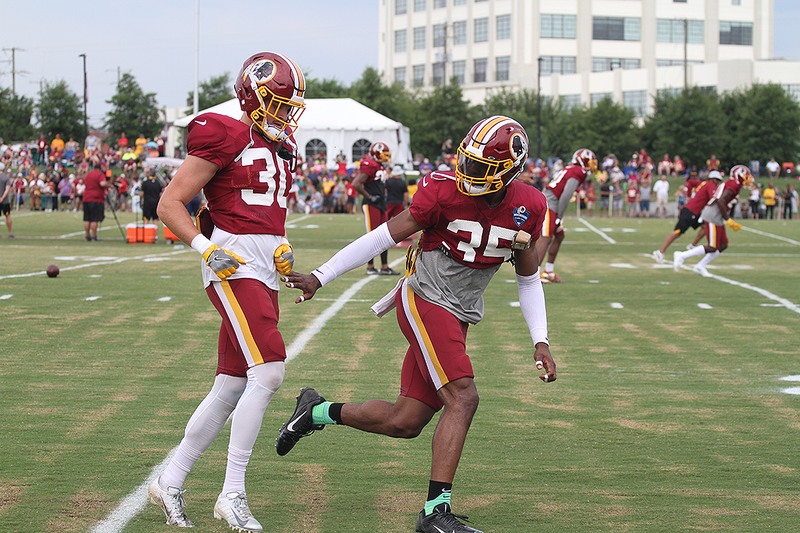 And after the first scheduled day off of Washington Redskins Training Camp 2018… we’re back! The pads were back on and the players hit the rain-soaked fields here in Richmond today for another intriguing day of practice. As always, your Redskins Capital Connection team was there from start to finish to watch all of the intrigue and report back to you! Today hosts Chad Ryan and Chip Brierre recap the action including another promising win for the Defensive Backs today, the emergence of Josh Doctson, and some really promising signs from Ryan Anderson, to name just a few of the topics covered. We then sat down exclusively with Montae Nicholson and had an absolute blast asking him about the Safety group’s reputation for being prolific trash talkers, what it’s like working with DJ Swearinger, and what his approach going into year two as the starter has been like. Of course we also run him through the RCC Teammate Trivia contest and put him to the sword to see how he does. Tune in to hear the laughs and the results! All that and much, much more on another episode live from on the field here at Redskins Training Camp.